Temperatures are cooling down causing a few different Phoenix pest control problems. Cooler night temperatures encourage pests to find their way inside homes for warmth! In the Phoenix Valley we’re so glad we live in a world where there are Octobers! October means a break from the heat, and getting outside a little more to enjoy neighborhood parks, and hiking trails. The downside to all this goodness is that Arizona Bark Scorpions are gathering to nest in crevices and voids! Usually we’re hunting bark scorpions with a black lights and pliers at night… But, bark scorpions are actually gathering themselves this time of year! Scorpions are usually solitary creatures, but that all changes starting in October when temperatures drop at night through fall and winter. As night temps go below 70 in Phoenix Valley areas, Arizona Bark Scorpions use their pheromones and make vibrations to find each other! Scorpions attract other scorpions and congregate in large groups to nest till next spring. Scorpion nests are NOT something you want around your home, because they all come out when it warms back up! Groups of 20-30 Bark scorpions will nest together in one small area during the winter… Giving Bark Scorpions a jump start on the spring mating season! This is just ONE way scorpion infestations start. Prevent next years scorpion infestations during the fall and winter! Scorpion nests are NOT something you want around your home or yard. Although scorpion nests usually go unnoticed during the winter, they cause what seems like a springtime scorpion explosion in just a couple short months. According to entomologists, Scorpions mate during late spring and summer and their gestational period takes several months. This means that scorpions give birth to a brood of “scorplings” during fall and winter nesting months. You can prevent scorpion nests and infestations around your home by having Scorpion Control services during the fall and winter months.! Prevent scorpion infestations – Keep an active scorpion control barrier around your home and yard during the fall and winter! Specialized scorpion pest control products, and application methods, treat specific areas scorpions like to nest in, killing scorpions trying to gather around your home and yard. 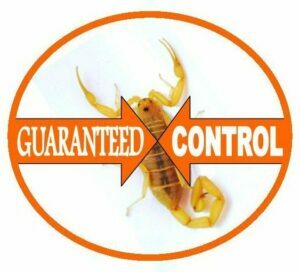 Providing EFFECTIVE Scorpion Control in Mesa, Phoenix, Chandler, Glendale, Gilbert, Scottsdale, Queen Creek, Maricopa, Tucson & surrounding areas. 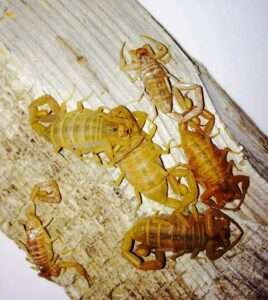 Arizona Bark Scorpions have been an issue in my area for a very long time. I always reach out to a professional pest control company like you guys. Looking forward to the call later! I didn’t know that scorpion nests could be an issue! It makes sense that I would want to ensure that it’s not an issue for me. I’ll start looking for a good pest control service!